This entry was posted in Connecting with Community and tagged alpaca wool, alpacas, knitting, sustainable living by cityhippyfarmgirl. Bookmark the permalink. That is such a gorgeous beanie. This may be a silly question – but are the colours both natural? Are they from the two alpacas your mum has? Not a silly question. Yes they are both natural colours, and from the ‘two boys’ as she likes to call them. Lovely, lovely, lovely!! 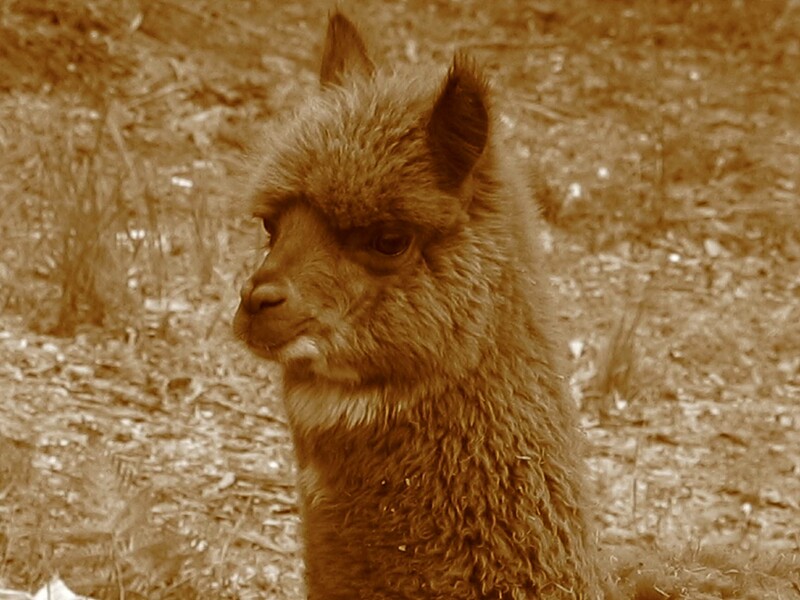 How lucky you are to have access to alpaca fibre! Christine they would be perfect for you. They really are lovely creatures, curious, they like hanging around people (if they have grown up with them), neat- they poo in a pile, they do eat a lot of things they shouldn’t (but so can goats.) Good protection if you have other livestock/kids :-), and the wool is so soft. They do spit a little, but I think its more amusing than annoying and its only at each other, like a dust bath, like playing under water, sing a humming song and generally are just lovely creatures to have. 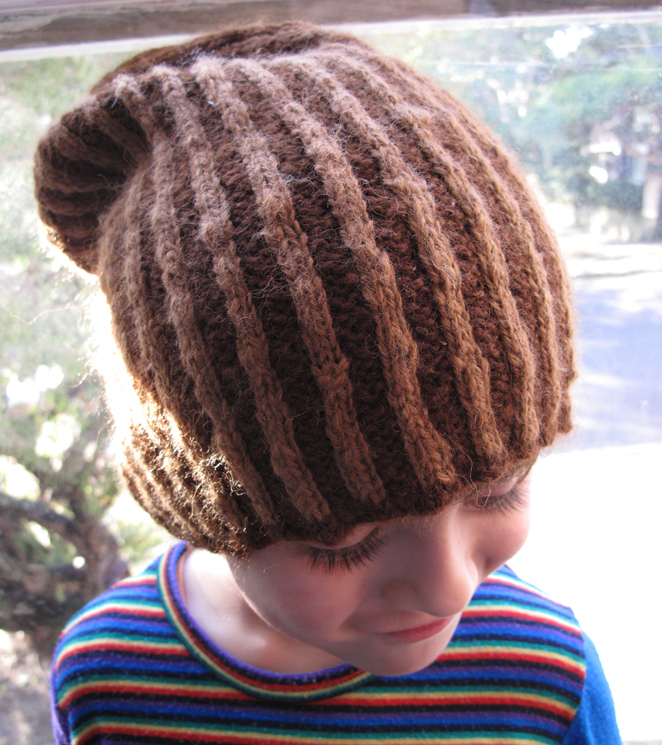 Lucky Monkey Boy indeed – what a gorgeous beanie! Did you make it, or did you mum? What wonderful sustainable living – making clothing from your own animals! It is sustainable living, thats for sure. You could make quite a few things from all the wool those two produce. 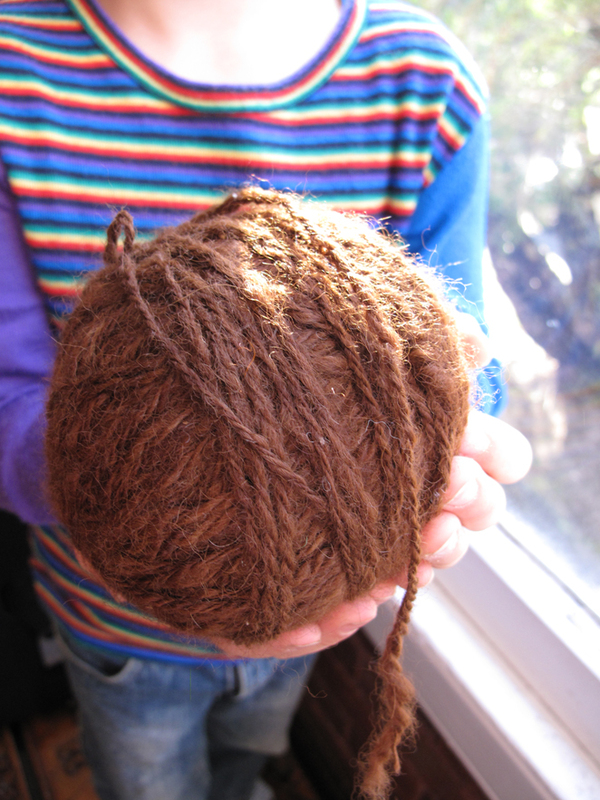 My mum did the spinning and knitting, I’m still baby level…need to work on my knitting skills. The beanies are really warm, and no itchiness that you can get from sheep wool. Super soft! 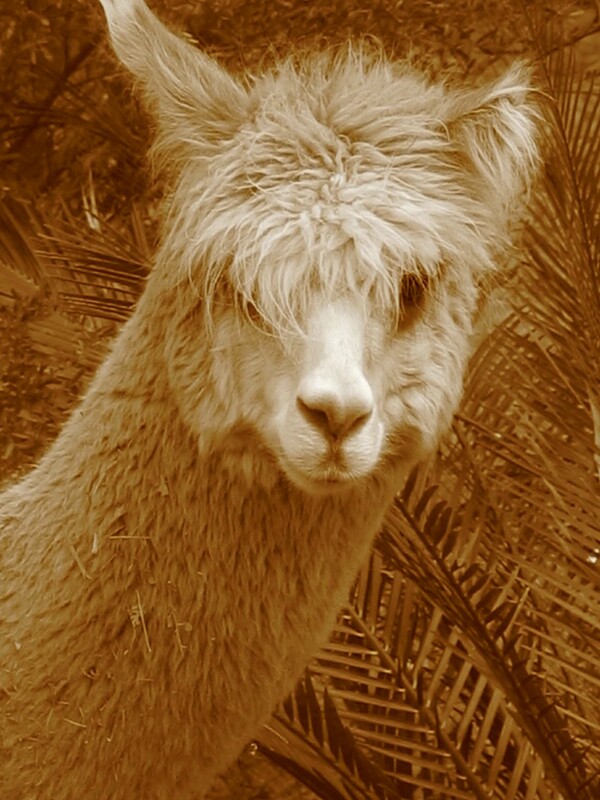 I love Alpacas- and the wool is so soft and inviting! I should have chosen family that would keep animals- mine are mostly gardeners. LOL- not complaining- really- just a little envious. That truly is a lovely hat and a very adorable Monkey Boy! Aren’t they just gorgeous looking animals. We have a friend who is nutty about them and spends every Saturday helping out at a local alpaca farm. The wool however, is really expensive to buy. She does occasionally bring us a treat of a bag of their manure, which is really good for the garden and can be applied directly.